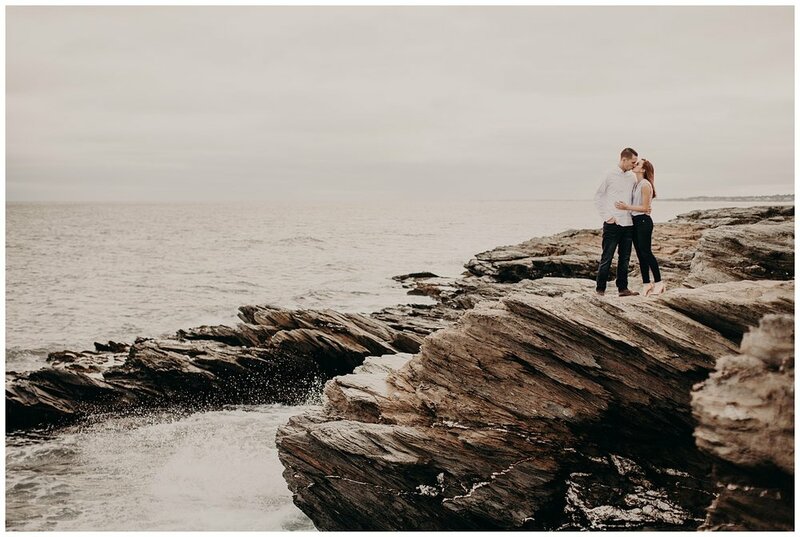 Dan + Sunni's Engagement Session — Move Mountains Co.
Dan and Sunni had a brisk autumn engagement session at Beavertail Point in Jamestown, Rhode Island this past September! Their wedding photographer, Tiahna, had a great time climbing the park’s rocky terrain with this sweet couple! After getting to know each other, Dan and Sunni had an instant connection with their engagement shoot photographer and said they felt much more comfortable in front of the camera! As a result, we got some creative, romantic engagement photos that we’re excited to share with you! The next time we’ll see these two is at the Atlantic Resort in Newport, Rhode Island with our photography and videography team for their wedding!